Editor’s note: these arehis post was written by Jonny Rowntree, a freelance writer for Elanders UK. Many designers nowadays are finding themselves working in an increasingly digital environment. So much so in fact that the requirement to prepare a document to actually see the light of day in print can sometimes put them on the back foot. Thankfully it’s relatively easy to translate your digital expertise to the printed medium, adding another string to your bow just by knowing what questions to ask. Whereas most B2B communication on a more personal level is now conducted digitally, reaching consumers themselves and even making the first contact with other businesses often requires the attention-grabbing physicality of print. Just like preparing any design work, the first steps involve finding the right mindset for the client you’re working with and getting your head around their requirements. Will you be working with existing branding designed in-house or designing anew? Either way, think about how this branding can be optimised for different types of business document. Consider the restrictions posed by the stricter size limits of printed documents and what this could mean for your use of space. 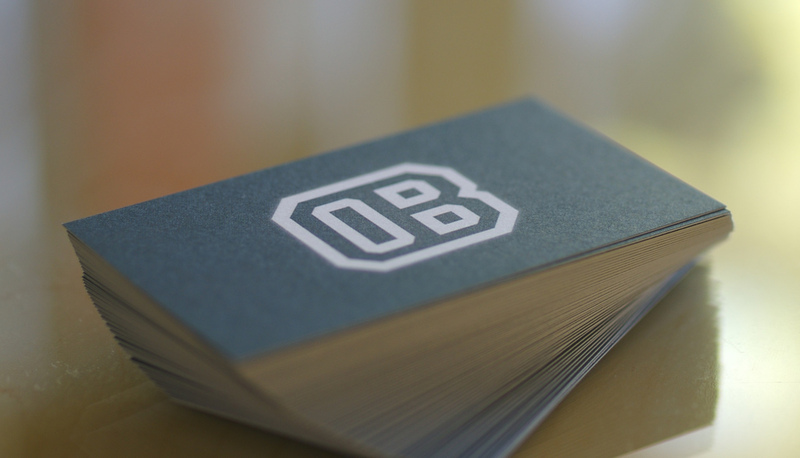 If you’re designing anew, you might find this showcase of business card designs useful. Printed documents tend to convey different messages to digital ones and need display different information with different levels of prominence. Details on a business card, which usually names the point of contact, business name and contact details for example, will differ greatly to those on a flyer, which will only promote the business, their products / services, contact details and any announcements such as special offers. The main two reasons behind this way of thinking is purpose of the printed material and the overall size of it. Business cards are typically small rectangles, measuring 3.5” by 2”, whereas the average size of a flyer is 5.8” by 8.3”. 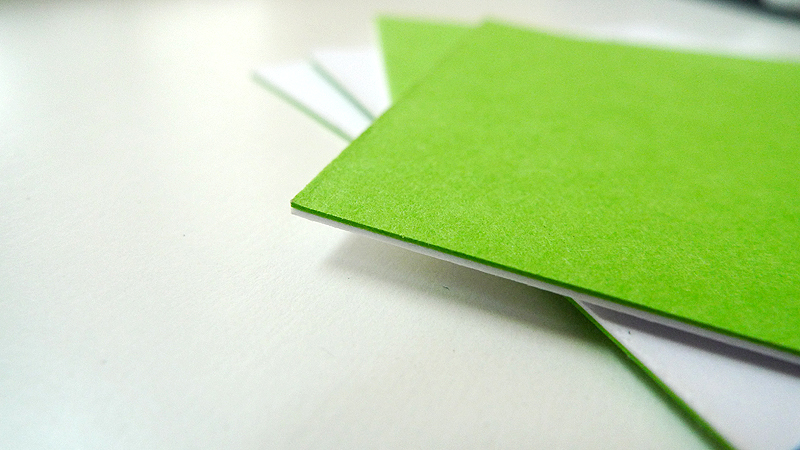 WebDesignerDepot has some additional tips on business card sizes. It’s also well worth getting to know the printer who’ll be producing the finished versions of your work. It’s likely that they’d at least prefer if not actually require the final templates to conform to certain conventions. File formats and preferred sizes are all good to confirm, as is the colour mode their printing uses. RGB colour mode tends to relate only to digital displays. Printers traditionally work in CMYK to produce a more distinct and varied range of colours. Don’t worry though, the most commonly used design packages (Photoshop, InDesign, Illustrator etc) include easy options to switch to CMYK. Learn more about how InDesign manages colours in this tutorial. When sending your finished design, make sure it’s clean and sharp, saved in high resolution. 300dpi (that’s dots per inch) is the industry standard. Just as important are the materials used to print, knowing a little about the relative merits of certain materials can subtly affect the choices you make it crafting the perfect design. Sometimes you need to get the message just right but only have a limited amount of words to work with, hiring a freelance writer from a writers jobs board might be a good idea to handle this. For example, your printer may be using soy-based inks. These are eco-friendly and cost effective and give you gorgeous, vivid colours but have a somewhat low resistance when it comes to rubbing off. White inks are designed for window stickers or printing on metallic boards so consider how that contrast will work for your design. Then there are Elanders inks; these wet inks allow paper to absorb the ink instead of laying on top of the paper in the same way as toner printers. Speaking of paper, where digital presses tend to use SRA3 paper and lithographic presses use an 80gsm thin paper (great for longer books), Elanders finds a 400gsm board ideal for most printed communications like invites and cards. The difference between the digital and lithographic (or offset) printing methods I just mentioned is basically one of scale. Digital printing using printers like the HP Indigo Elanders employs is great for runs of personalised direct mail pieces or for running off lots of smaller batches of print as this is by far the easier method to set up. Offset printing is better for huge runs of the same design, posters, business cards and the like, it lets you print in outstanding quality on a massive scale. Knowing which method your printer will be using can help you make tiny tweaks to your design. Bearing these points in mind when designing for print can help you make sure that your talents are received just as well in the printed medium as the digital one, and let you produce the best work possible for your client.